What is love? How can it be defined? Not sure how it’s defined; for me, Love is you. Not everyone can define LOVE, as it is said to be a feeling beyond words. But, the moment, you would have read the above poem, all those feelings, emotions and the butterflies you had been feeling in your stomach, seems to be rejuvenated, right? You feel like you have felt it all but had not been able to pen it down in that paper to make your girlfriend/boyfriend realise how much you really love them, or how much you actually crave for them. Not everyone can define the emotions which resides deep down in their heart, not everyone is capable of penning down their feelings yet, some people can. One such person is Rohit Sharma, the author of the intense romance fiction, “Te amo… I Love you”. The above poem is only an extracted literary piece from his novel. 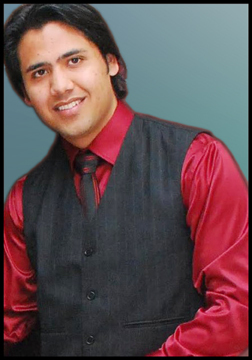 Born in Amritsar, and brought up in Faridabad, Rohit Sharma is a Senior Software Engineer by profession. Working with one of the world’s top MNCs, Rohit has successfully represented his organisation in USA and England. Being an avid reader, he loves to read fictions by Nicholas Sparks, Jeffery Archer, Sidney Sheldon, Dan Brown and Paulo Coelho, to name a few. He loves to express his feelings via the innumerable romantic poems and songs, which are available on his blog. He is a keen writer along with a book reviewer. After India, Spain is his favourite country, which can easily be attributed to his passion towards the Barcelona FC. He is a die-hard fan of Sachin Tendulkar and loves to unwind either by playing any of his favourite sports or by exercising and cooking. He can be contacted at his personal Facebook account or at his blog. It is said that LOVE changes LIVES forever! Well, it certainly does for Isabella and Aryan. They meet. They fall in love. But soon they realise that love is all about sacrifices, efforts and hope. A sacrifice, which Isabella makes for her family and her love, Aryan. A sacrifice, which compels her to stay with Ethan – the man she hates most, and the man who tortures her every day!An effort, which Aryan makes to rescue his love, Isabella, from the dreadful clutches of the extremely powerful Ethan, and his vicious gang. A hope that persistently flares in the hearts of Isabella and Aryan, a hope to stay together, forever. But, the real question is, will Isabella’s selfless sacrifices bring any good to her, or her loved ones? Will Aryan’s death-defying efforts be successful? Will Isabella and Aryan’s eternal hope eventually come true? Let’s unfold together a fascinating saga about passionate love, honest friendships, and ruthless animosity- a story about happiness and togetherness, hatred and revenge, sacrifices and solitude, efforts and hope. “Te amo… I love you” is one work of fiction which you would love reading. The way the story keeps unfolding in front of you, it keeps you glued and your mind keeps on anticipating the story yet to be narrated. According to the story, our protagonist is a nonbeliever of love and he is someone who tries to remain miles away from this entire so called love thing. But, the real question is “Can someone really stay away from love? Can someone really stay away from what has been written in his destiny?” And, the answer is a big NO because it is always said that love is something which comes when you least expect it come. It makes you believe in all those promises, emotions which you had been running away from and the same thing happens here. Aryan falls in love at one single sight of the Spanish beauty, Isabella. He looks forward to meet his lady love, and when he gets her, the real problem starts as he gets to know about the sufferings, the promises, the sacrifices; his love has to make to keep the former happy because love is not easy, it never was, it never will be. 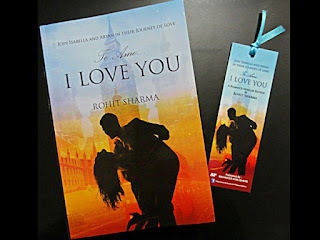 I loved the way, Rohit has described the beauty of the Spanish girl, Isabella, in this debut intense romance fiction. Then, I loved the description of the Spanish culture in the book. It interprets the fact that writing this book has involved a great amount of research on the part of the author. Further, the love making scenes added to the glory of this book. Nothing dirty, yet the description keeps you bonded. The character of Ethan, the villain, was well-portrayed. One thing, I liked the most was the language which was kept simple yet was so ostentatious. The vocabulary used was fabulous. Further, one thing touched my heart was the trust Isabella had laid upon her love. The way, Isabella responded every time Aryan asked for her trust was enthralling, be it for any sacrifices, be it for their marriage, be it for the rescue from the clutches of the villain or anything. Furthermore, I loved the poems; in fact, I had never known Rohit is such a great poet. All the emotions, the feelings, the excitements and the sentiments have been well described by way of the poems, just like the one at the beginning. Besides that, the climax was totally unexpected. While reading the book for the first time, I hadn’t in my wildest dreams thought about the turning point in the story and I loved that change. Again, I loved the use of Spanish words in certain places along with the use of Te amo’sand I love you’s at varied places. It hyped that feeling of the romance in this suspense thriller. Everything good has some flaws too. The only flaw, I noticed, in this romance fiction was the length of the story. It was a bit longer than I has expected for the novel which comprised of 310 pages. Usually, Indian readers don’t expect such a lengthy literary piece. But, then this defect was completely hidden owing to the fact that the description of the story line was way too good and it kept you absorbed without giving you even a pinch of that bored feeling. Being new to this literary field, I am not a professional reviewer. But, I have read lots of books and as such, given this chance, I would give the story, a 3 out of 5, and I would also add 0.5 for the poems and the songs in this debut novel, which took away my heart with its mesmerizing description. So, the total comes out to be a 3.5 out of 5. Yes, this book deserves a high score from my end because I personally feel that this piece of literature was bonito (beautiful in Spanish) and, trust me, one would not regret investing on this fiction.